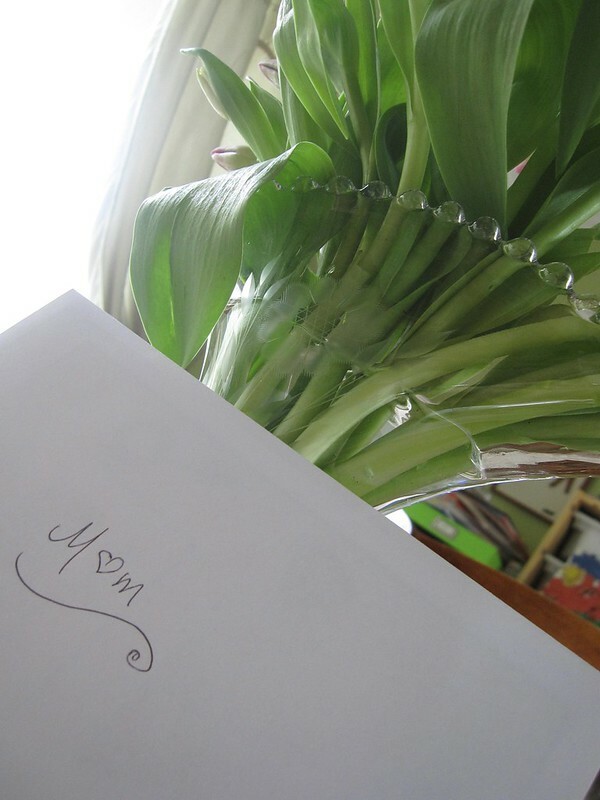 cornflower candlewick vase – and happy mother’s day | i made it so. i couldn’t believe my luck when i came across a candlewick vase with cornflower etching (i wrote about candlewick here). 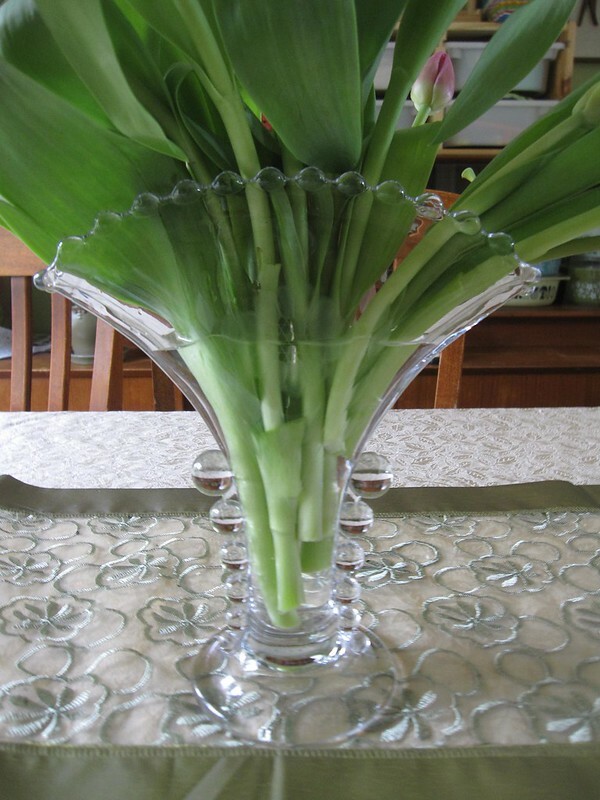 i’ve always kept an eye out for candlewick because my mum-in-law has a collection of the glasses, but the only other time i’d seen this vase was in an antique store — at an antique store price. i knew i wanted to give this to her for mother’s day. i love the tapered bobbles on the sides, and the 1920’s art-deco (though it’s not) flare of it. you can just barely make out the cornflower etching below the bobbled rim. it’s a beautiful sunny friday here, and i hope it carries through the weekend as i spend time with my little ones, who are getting not-so-little so quickly. just a few minutes ago as i sat down to check my email, i received a sweet message that reminded me just how lucky i am to be a mom. i hope that’s you’re lucky enough too to have wonderful children and mothers in your lives. i’ve got both and this mother’s day and every day, that’s the greatest gift i could have. happy mother’s day, happy weekend all. 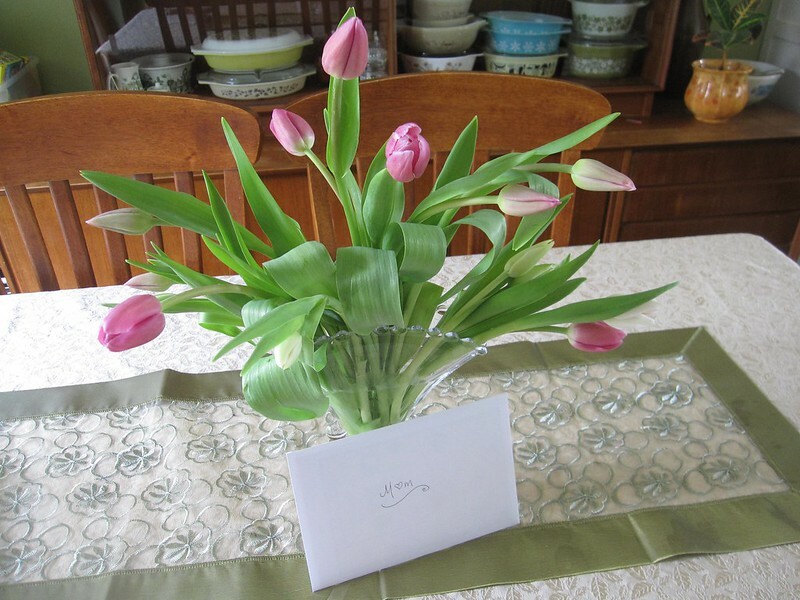 This entry was posted in green thumb, thinking out loud, thrifting & vintage and tagged candlewick, candlewick vase, cornflower etching, mothers day., tulips arrangement. Bookmark the permalink. thanks! hope you had a happy mother’s day too. what a lovely gift! I’m sure your mum will love it! I hope you get a very special mother’s day – and get spoilt rotten with your feet up! I’m celebrating my first mother’s day tomorrow (although given I’m pregnant, it does feel a tiny bit cheating) – and my lovely hubby started the celebrations early, giving me a big sleep in and breakfast in bed today! Hooray! that’s sweet of your hubby, hope you had a lovely first mother’s day! Hope you had a wonderful mother’s day Ana and were properly spoiled! beautiful vase! sorry i’ve been mia, i’ll try to catch up on your blog soon!